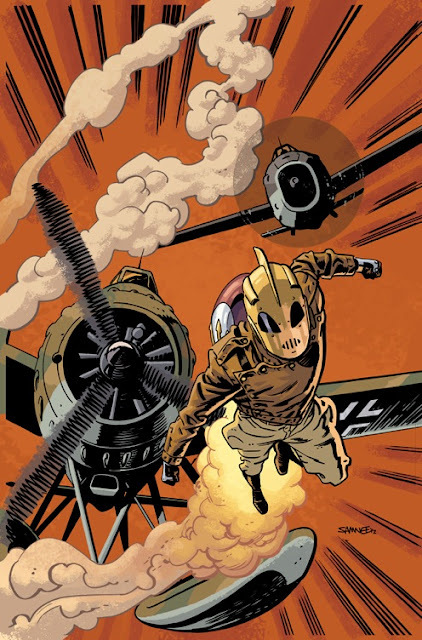 Rocketeer: Cargo of Doom #1 out Wednesday! Rocketeer: Cargo of Doom #1, written by Mark Waid, art by myself and beautiful colors by Jordie Bellaire, is out this Wednesday, 8/22!! CBR has a preview up so go take a look! We all put a lot of heart into this series, so I hope you pick it up! Also, apologies for the sporadic posting this year. Drawing two books is leaving me with very little time to do much else. I hope to be back to sketching and posting this fall, once I'm down to just working on Daredevil! Thanks to those of you that still keep checking in on me. I hope to make it up to you soon!